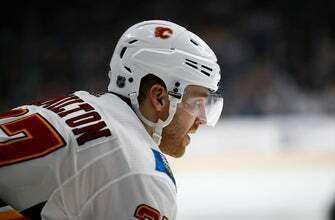 DALLAS (AP) The Carolina Hurricanes acquired defenseman Dougie Hamilton on Saturday as part of a blockbuster trade with the Calgary Flames at the NHL draft. Waddell said Friday night that he’d heard a lot of trade chatter at the draft with almost nothing to show for it. Even after making this move, he’d still like to shore up Carolina’s goaltending situation either via trade or free agency and could also trade defenseman Justin Faulk, whose no-trade clause kicks in July 1.